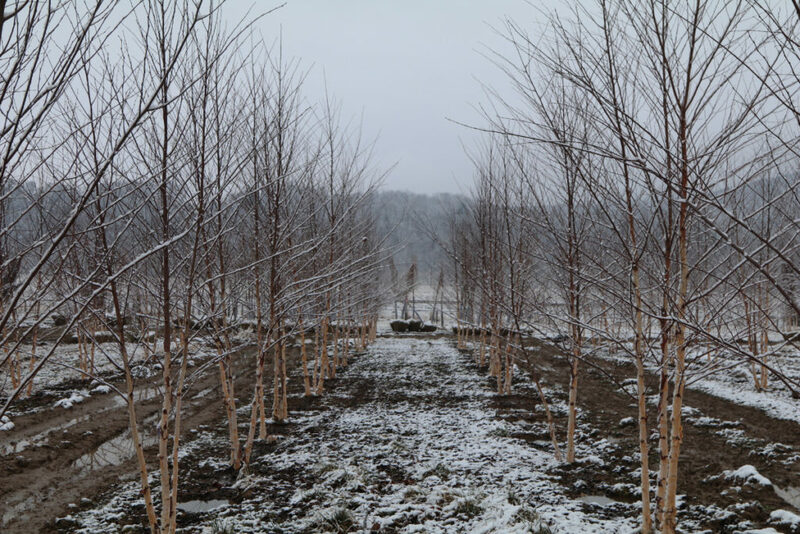 At the end of February, we had our big spring digging push. 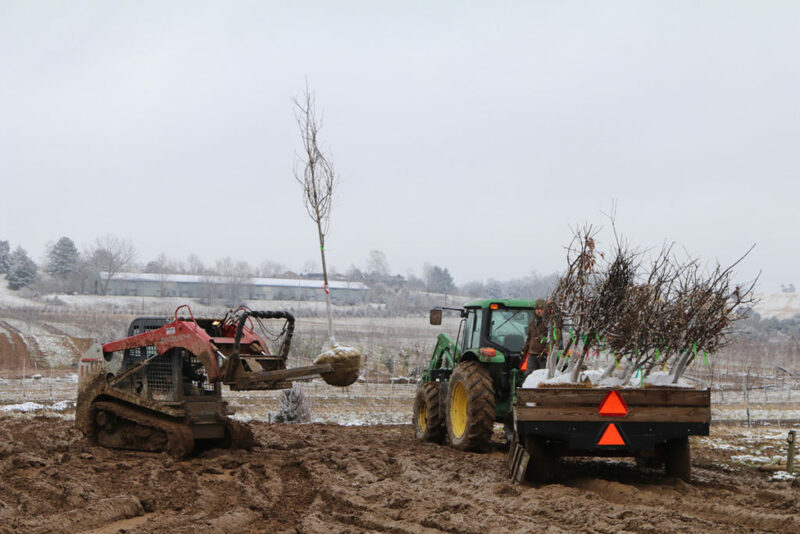 These photos of the nursery from last Saturday (Sat 9 March 2019) show us moving the dug trees from the fields to the staging areas. 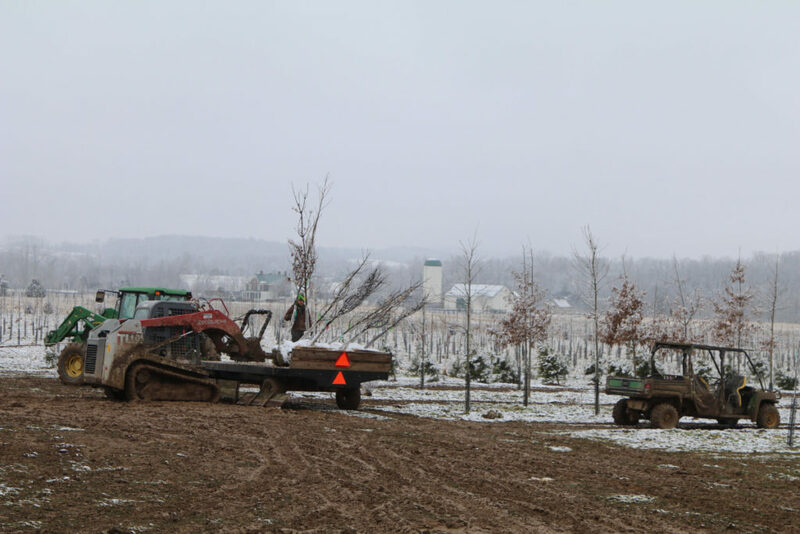 As you can see it was very muddy, which has hampered our efficiency in hauling trees for staging and shipping. 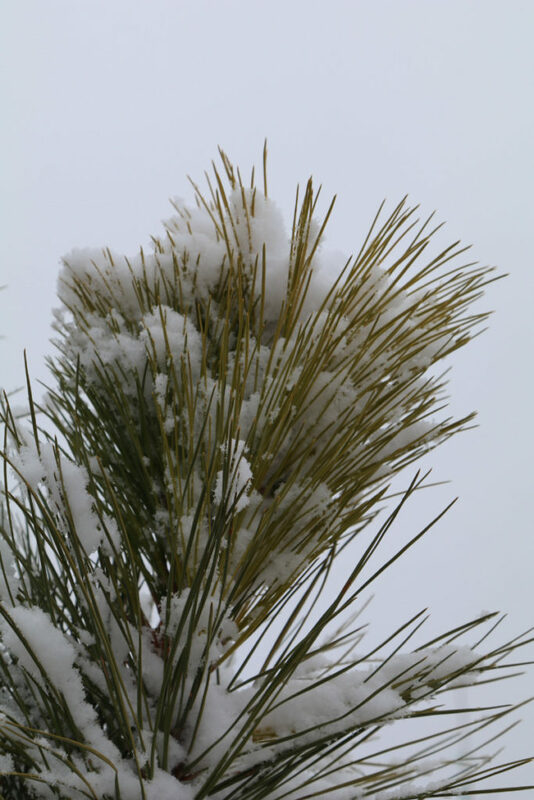 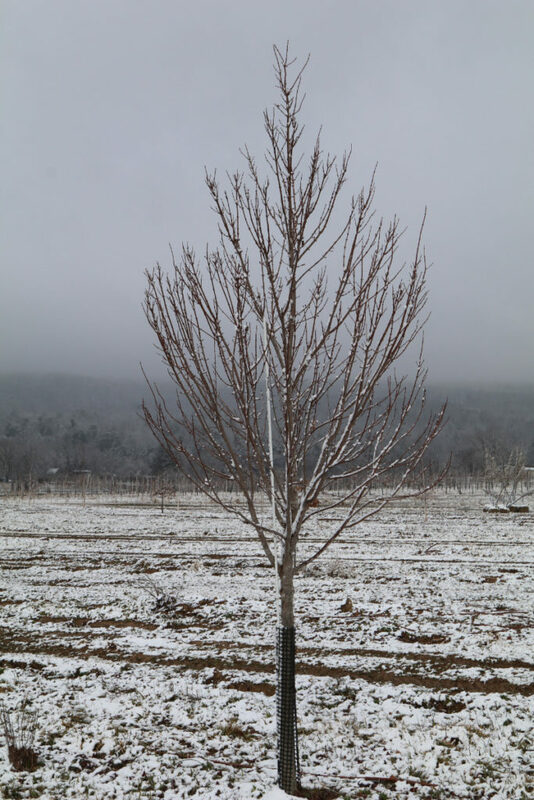 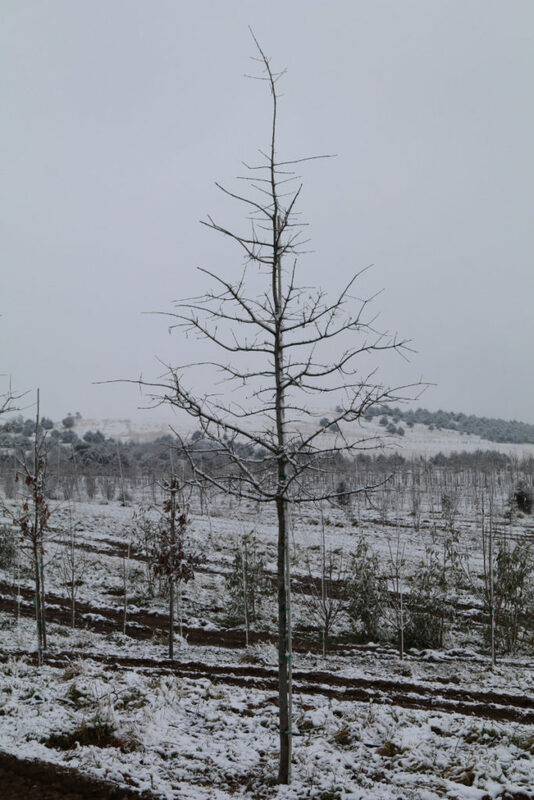 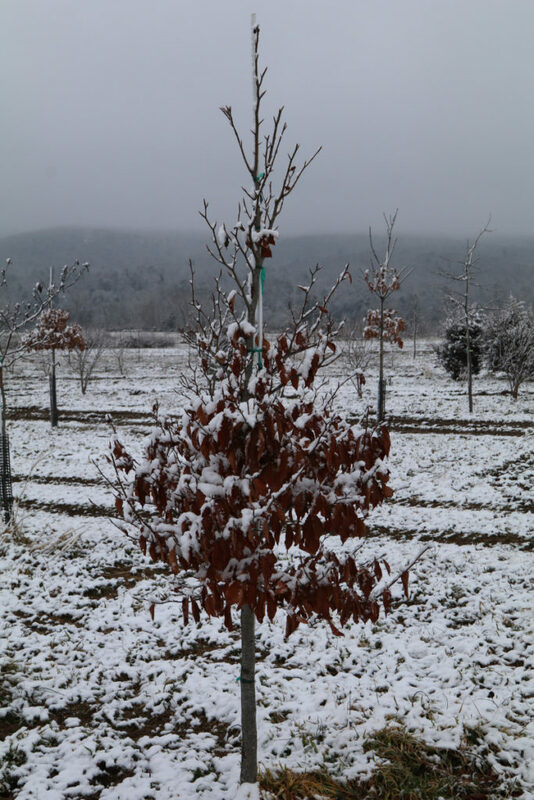 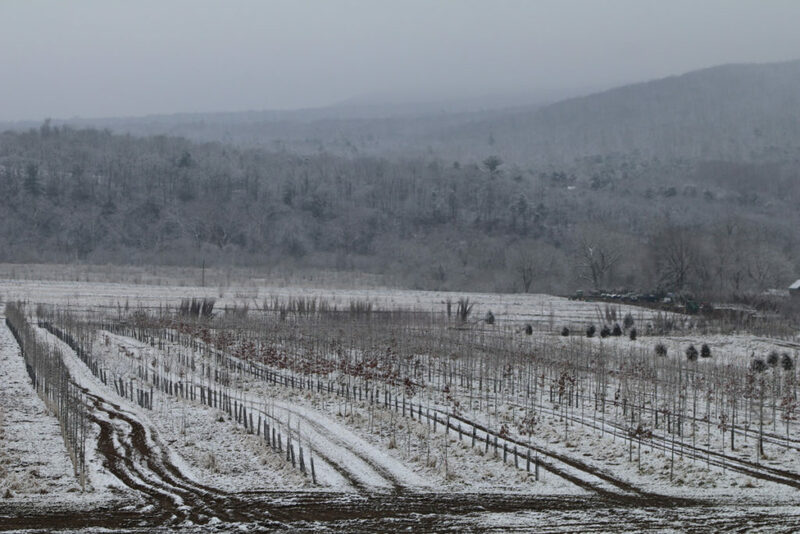 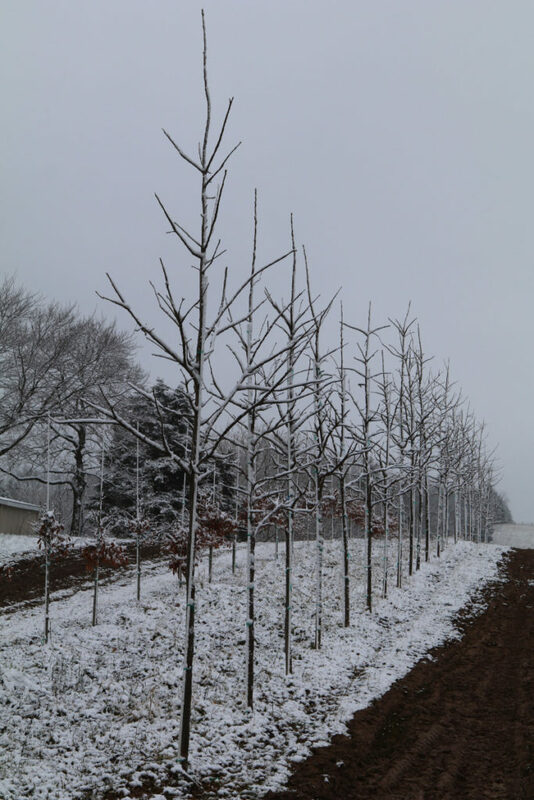 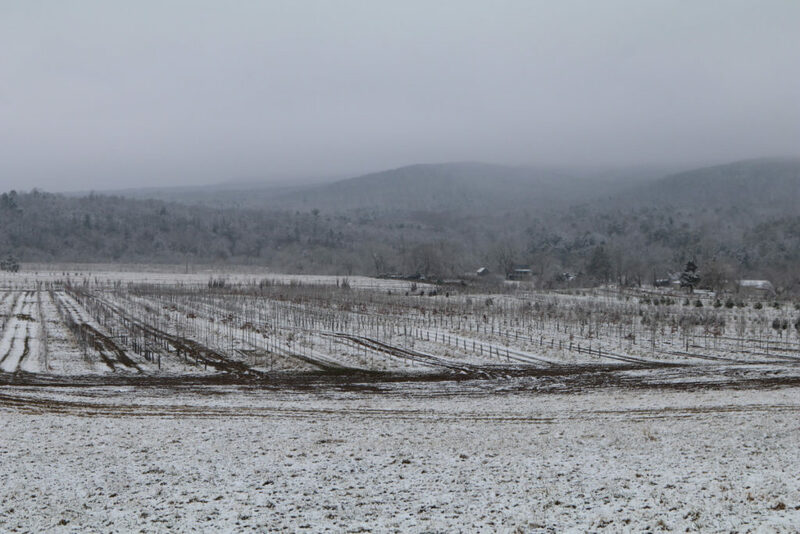 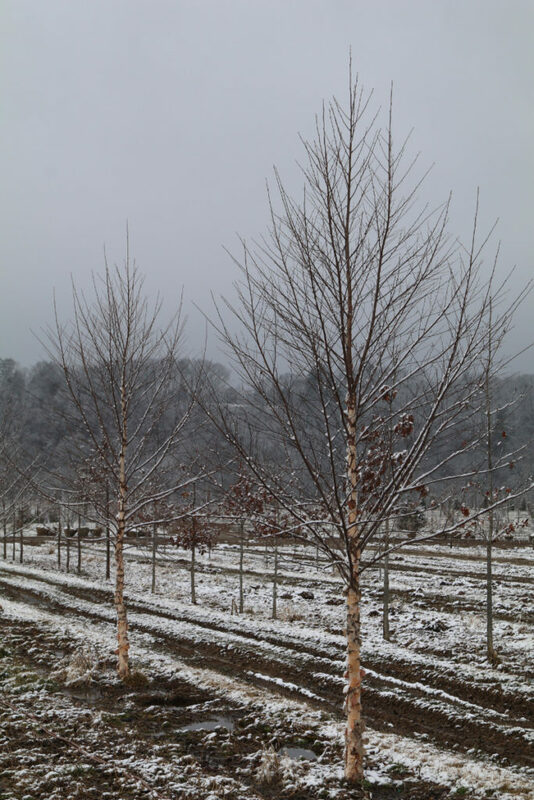 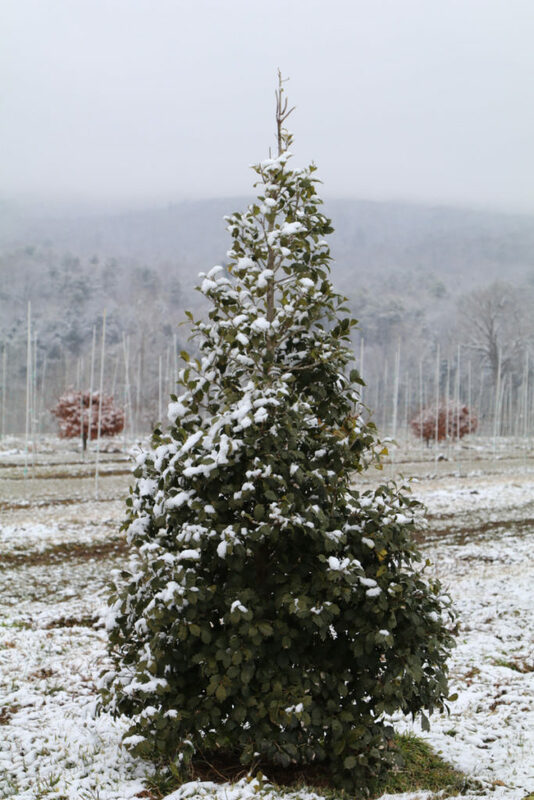 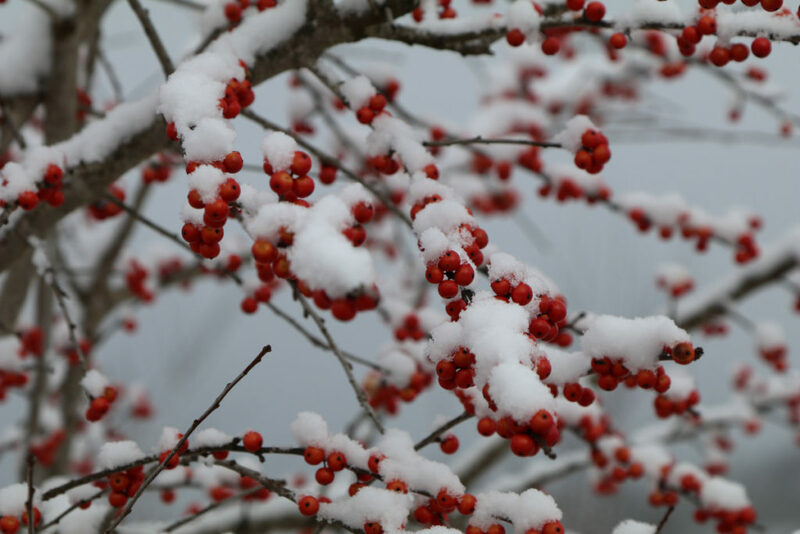 But the light coating of snow does highlight the great, uniform structure we achieve with our native trees through thoughtful and regular pruning regimens.